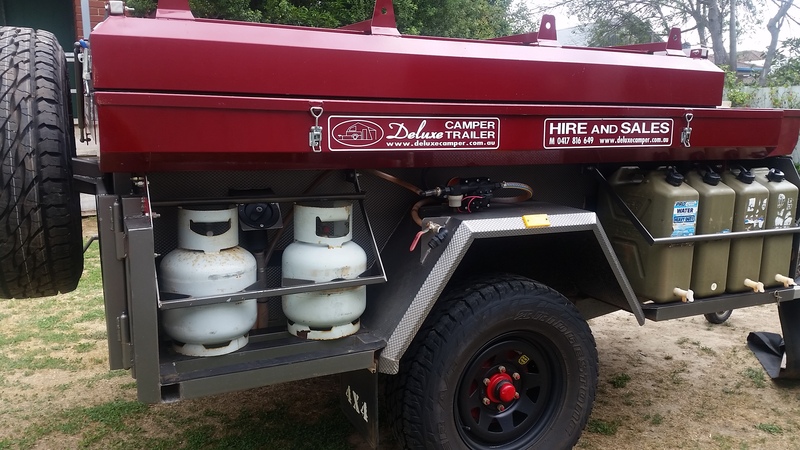 Our Deluxe Product has been developed, built and tested in our own hire fleet for many years and has given many customers (both hire and sales) great camping experiences. Our trailers are the premium product in the marketplace. 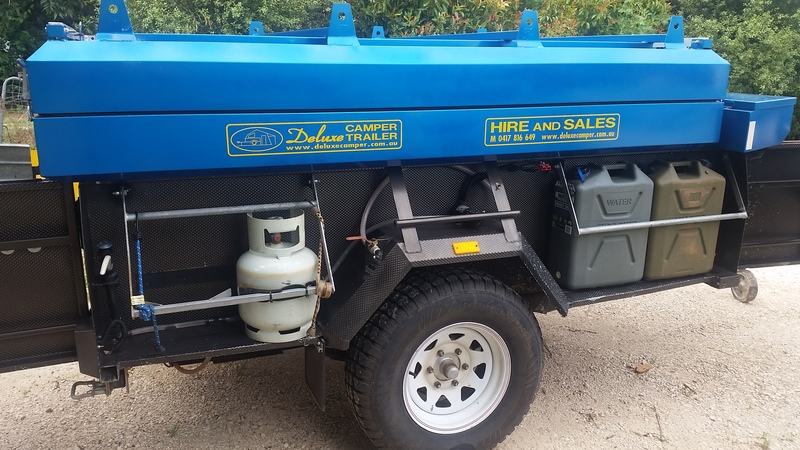 Based in Woodside, Deluxe Camper Trailers services Adelaide and the South East as well as happy customers interstate from Victoria and New South Wales. Safari trailers – suitable for gravel formed roads and national parks. If you are after the full off road adventure hire an off road camper trailer. Suits standard cars, SUV’s, people movers. Our campers are designed for people on the move. Set up virtually anywhere you like. Spend a day or two and then move to the next great spot our wonderful country has to offer. Enjoy your outback adventure holiday without wasting a day in the packing and setting up routine. 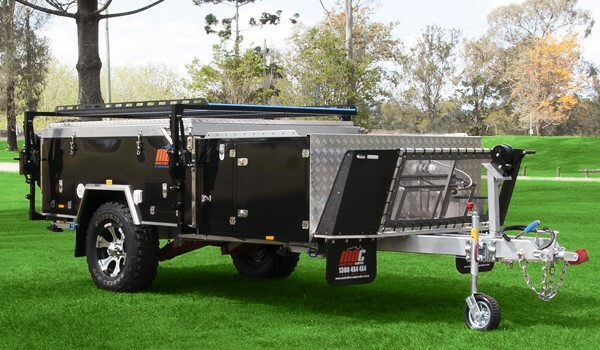 The simple and versatile design makes a Deluxe Camper trailer one of the quickest and easiest campers you will ever have the pleasure of using. Suitable for both families and couples alike. All the canvas and bedding is contained within the sealed suitcase top. When opened this gives the instant advantage of 2 queen beds, a sealed room and 2 awnings. The rear awning can be enclosed with a mesh well turning it into a gazebo style room. Don’t need an off road trailer but still after a camper than can go most places be easy to set up and re pack and suits virtually all standard cars and SUV’s, then our Safari camper fitted with the innovative double stubby room will be just right for you. Lightweight and easy to tow with generous storage area these units are great for couples and families that like to get away from it all to a nice cosy beach or river getaway, national parks and soft camping locations. Can also be customised with items from our options list without breaking your budget. Access to trailer tub from inside camper, unique design allows for plenty of headroom inside and simple set up and re pack. Set up time approx 3-5 minutes for quick o/night stop, 10-15 minutes for full set up, standard fit out includes all necessary equipment to set up. All our models are available for purchase. Call George 0417 816 649 to discuss pricing.